With just over a week left to the start of the Rás Tailteann, the Irish national team for the race has been unveiled. Robert Jon McCarthy, Darnell Moore, Marc Potts, Jake Gray and James Curry will don green in the UCI-ranked international event, working together to try to secure the best possible result for Ireland. McCarthy is a strong sprinter who won the Australian junior national championship ahead of Caleb Ewan in 2012. Two years later, he won the opening stage of the Rás, but the following year he lost motivation and took a long break from cycling in 2015. With just over a week left to the start of the Rás Tailteann, a second American team has been confirmed for the event. The USA Jelly Belly – Maxxis team joins the previously-announced USA CCB Foundation – Sicler squad, and looks set to be one of the strongest international teams in the event. The five-man line-up will include the Americans Jacob Rathe, Taylor Shelden, Curtis White and Ben Wolfe, as well as the Mexican Ulises Castillo Soto. Rathe is a highly experienced rider, recently winning the green jersey at the Redlands Bicycle Classic. Last year he took the King of the Mountains jersey in the prestigious Tour of Utah and also won the Tour of Xingtai in China. The number of international teams announced for this month’s Rás Tailteann has climbed to ten, with the Wales national team and the Germany Bike Aid squad confirmed for the event. Peter Kibble, Zachery May, Dan Coombe, Will Roberts and James Tillett have been listed as the likely starters for the Welsh squad. Kibble represented the country in the time trial and road race at the recent Commonwealth Games, netting 15th in the former and helping compatriot Jon Mould take silver in the latter. May was seventh in last year’s 1.2-ranked Rutland - Melton Cicle Classic while Coombe was ninth in the 2017 OberÖsterreich Juniorenrundfahrt 2.1 event for juniors. “Pete will be our GC rider and aiming to impress in the mountains,” says team directeur sportif Rob Partridge, who rode ten editions of the Rás and was a superb fourth overall in 2015. “Zac will be looking for stage wins on the flatter days, and bring some experience to the team. With less than a month to go until the start of the 2018 Rás Tailteann, a further two international teams have been added to the six already announced for the race. National teams from Belgium and Switzerland will compete in the round-Ireland event, drawing their track racing background to ramp up the speed and aggression of the event. The Belgian squad is comprised of riders who are set to represent the country in the 2020 Beijing Olympics velodrome. 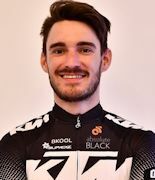 Former Rás stage winner Moreno de Pauw is returning after two previous participations in the race. These yielded a stage win in 2013. On the track he is a winner of six six-day races and has taken bronze medals in the world and European track championships. As the weeks tick down towards the May 20 start of the Rás Tailteann, a further two overseas squads have been confirmed for the world-ranked event. Former Irish national road race champion Damien Shaw and talented young rider Sean McKenna are the first two to be named for the Britain Holdsworth Pro Racing Team. The rest of the squad is yet to be decided, but the two Irish riders have amassed plenty of experience in the race and will share that with their teammates. 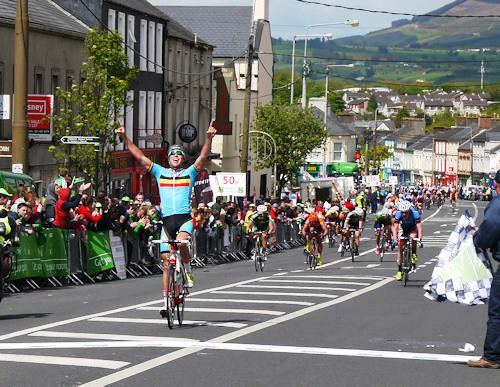 Shaw won the national championships in 2015 and finished second, second and third on stages in that year’s Rás. He was also fifth overall in 2016 and again last year. As for McKenna, he was fourth in the mountains classification in 2017 and took 15th overall. He went on to place fifth in the national road race championships. The team will do a series of big races as part of its build-up, including the Tour de Yorkshire. Downing believes the squad will be exactly where it needs to be as it starts the event. A week after the announcement of the first two international squads for this year’s Rás Tailteann, two more teams have been revealed for the race. The Netherlands Delta Cycling Rotterdam team has shone in the past two editions, winning two stages under the Cyclingteam Join's - De Rijke name in 2016 and then repeating that tally last year via Jan Willem Van Schip and Daan Meijers. In addition to that, Ike Groen was a superb second overall, while Meijers won the points classification. With just over six weeks to go until the start of the 2018 Rás Tailteann, the first two international teams have been announced for the event. The British Canyon Eisberg and Saint Piran squads have confirmed their attendance and are aiming high in what is Ireland’s most prestigious cycling race. Dexter Gardias will be one of the big guns on the Canyon Eisberg squad, having taken third overall last year in the King of the Mountains competition. He was also fourth on stage one in 2016. He will be joined by fellow Britons Max Stedman, Louis Rose Davies and Matt Nowell, plus newly-declared Irishman Rory Townsend in the event. To celebrate the legacy of Rás Tailteann and to contribute to its future, we are producing this stunning commemorative cycling kit. 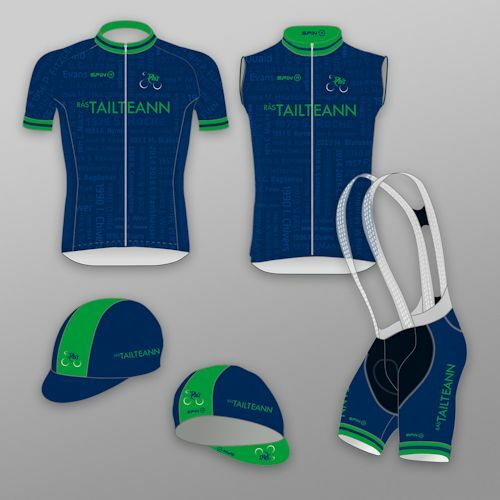 Wear the official Rás Tailteann cycling kit as a badge of honour knowing you have helped contribute to the races future, while celebrating its past. All support is greatly appreciated, proceeds will contribute to the running of the event. Having learned earlier this year that An Post was stepping away after many years of backing the race, the organisers of the Rás Tailteann have said that they are still seeking a new backer for the 2018 edition. 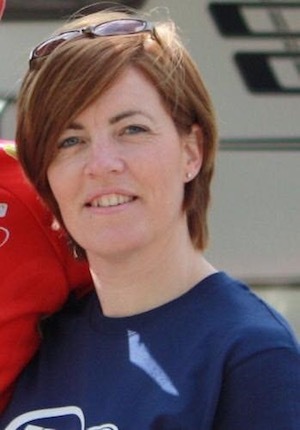 “We are still looking for a sponsor,” Eimear Dignam told the Irish Times on Thursday. “We have had talks with a couple of different prospective sponsors, but so far nothing has come from that. 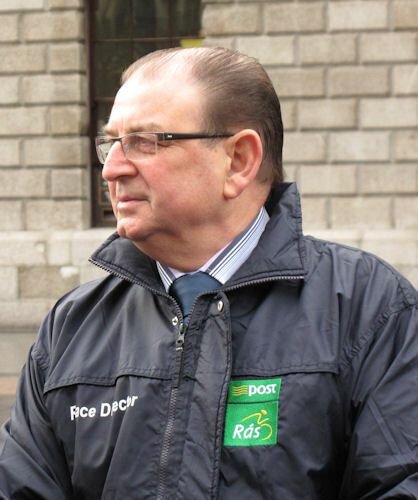 Race Organiser of An Post Rás/Rás Tailteann for the past five years Tony Campbell has resigned from the position. Citing “personal reasons” Campbell informed Dermot Dignam, Chairperson of the promoting club, Cumann Rás Tailteann, of his decision.